I made my first Shutterfly project a little over a year ago – I made an album of our honeymoon photos in glorious Italy! I loved how they had such fun templates — I used the template with all the passport stamps on it and I just filled it up with pictures of Rome, Florence, Venice and the Tuscan countryside. This year, I’m excited to send out holiday cards to our friends and family, especially since we’re in a new house and a lot of people may not even have our new address (I guess I should have ordered some moving cards from Shutterfly this summer!). One of the best things about their cards, in my humble opinion, is the fact that you have so many OPTIONS. For a lot of us, I think this past year has meant change. Moving to new cities, getting involved in new schools and communities, maybe even getting married or having babies for some of you. Some of my favorite Shutterfly cards allow you to include more than one picture, because it may be hard to sum up your year in one photo. Here are a few of my favorites – go check them out for yourself and order some while you’re at it! *full disclosure: they’re giving me some holiday cards to say that, but I would still say it for FREE! This entry was posted in Christmas and tagged christmas, Christmas cards, gift cards, holiday, holiday cards, mail, shopping, shutterfly, thank you notes. Bookmark the permalink. I love Shutterfly! Made my tumbler wrapper there and I’m obsessed with it!! Haha cute! I have never gotten anything from there. 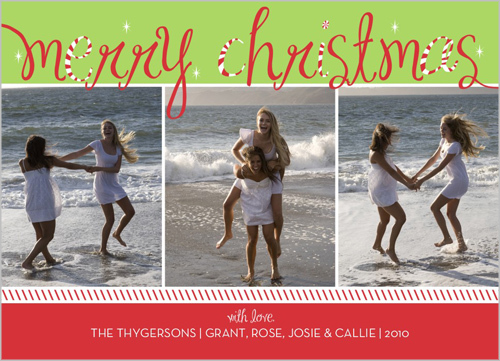 I would love to send out Christmas cards… but I’ve kind of decided that I wont do that until I’m married. Not sure what the exact rules are on that, but hmm, it would make a good post! DS and I were thinking of doing a cheesy Christmas card this year, maybe with all of us (including the two dogs) wearing matching Christmas sweaters or something. I think Shutterfly will even mail them to the individual people for you, right?